The Ventura County Civic Alliance is proud to serve as the business intermediary for the Alliance for Linked Learning. The Alliance for Linked Learning is an innovative collaboration between the Oxnard Union High School District, businesses in Oxnard, Port Hueneme and Camarillo, and local organizations and leaders determined to ensure that graduating seniors are prepared for college, career and life. This effort promotes diverse high school academies centered around career exploration to engage students and allow them to understand the modern economy so that they excel in their college pursuits or immediately in careers. 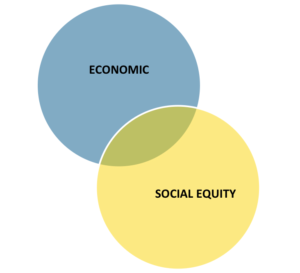 The Alliance for Linked Learning addresses the Economic and social Equity interests of our region. To learn more about the Alliance for Linked Learning and to participate in the development of a skilled workforce for Ventura County’s future, please contact Mary Anne Rooney, Project Director, Career Pathways Trust Grant, MARooney@CivicAlliance.org.